One of the most difficult things for me, is to put my thoughts and feelings into words. I am not a writer. My feelings are that if you can write, you should, if you can’t you should talk. Well, if you have any idea of who I am you know this post will be a bit choppy. I am the latter of the two. But now, things are different. I have cooked, and I love cooking to this day. 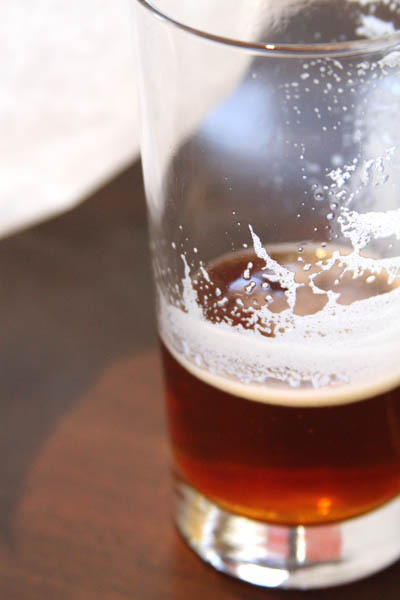 The craft and the simplicity of it sometimes just blows my mind. What I desire now in my career is change… to challenge myself in a whole new way. I love teaching. I have been teaching in my restaurant, at Tour de Farm, at speaking engagements, at charity events, in all that I do, I feel that I am slowly starting to understand that I have the ability to get people to start to understand the importance of food and helping them have conversations about what is important with food. Let me be the first to say that I am not always right, nor does the way I do things and the way that I look at food make sense to everyone. I am ok with that. But I know some people are not. I talk about food because I love food. It is who I am. So, now that some of you have just read all of that and rolled your eyes, well, you can stop reading, cause you are not going to understand the rest. If you don’t like what I do, what I have to say, how I make my choices, that is just fine with me. You can stop reading and move on. If you feel that you need to comment on my blog, or other blogs anonymously and take cheap shots at what I say or do, well, that is your choice. I am ok with it and wish you well. (Whew, I have been wanting to say that for a long time). Here it is. Yes, I have accepted the job of Executive Chef and Food and Beverage Manager at the Minnesota Valley Country club. Yes, Corner Table is still open and my amazing kitchen crew of Chad, Thomas, Dan and Kyle are still going to be cooking everyone dinner from now on and doing just as an amazing job as they have done for the last year. I have to say, I eat their food, and they are damm fine cooks. Yes, all the great staff at CT is stepping up. They are a talented bunch of professionals and I would not have accepted this position if I did not believe in each and every one of them to keep CT going on the course that I have started. My choice to make this move did not come easy. The underlying thing was the opportunity to work on another level of local and sustainable food. The ability to bring this message and this style of food into this location is really a continuation of what they are already doing at MVCC. Just to give you an idea, some of the things that we are working on are establishing a composting program for the kitchen and weighing the pros and cons of doing it ourselves on property. We are looking at all areas of food, including our staff meals. We’re figuring out what will the food be like. I have an idea where we are going, but at the same time, this is a work in progress just as Corner Table was when I started. Will it be local? YES. Will it be sustainable? YES. Will it have burgers, fries, salads, steaks, chops, fish… sure… will the food on the course reflect this change… YES. I had no idea in the beginning of the year when I started talking about Tour de Farm and the idea of getting local food in places that it had not really been known for, that it would mean I was going to go to those places too. Yes, there are a lot of questions that remain. There are a lot of things that will be learned along the way. Yes, I will be working on them. Tweeting and talking about them. If you are interested in learning more about it, keep listening. If you really just have a bunch of speculation and “what if”s” to talk about. Well, go for it. If you have questions, ask them, and I will try and keep everyone up to date on things, but if you don’t hear from me for a bit, just understand I might be teaching or maybe even planting a garden… and sure as hell doing a lot of cooking. This is the behind the scenes that very few people get to see at the farm, the amount of land that is being managed and the planning that goes into what most people think of as “farming”. Well, there is more work that most could imagine to get you those great tomatoes, cucumbers, and sweetcorn that Axdahls are known for. Better get tickets here.….you do NOT want to miss this. If you have ever been up to stillwater you may recognize this location. But what most people don’t know is all the work that goes into the behind the scenes of this farm that has been providing food for the Twin Cities for over 30 years. 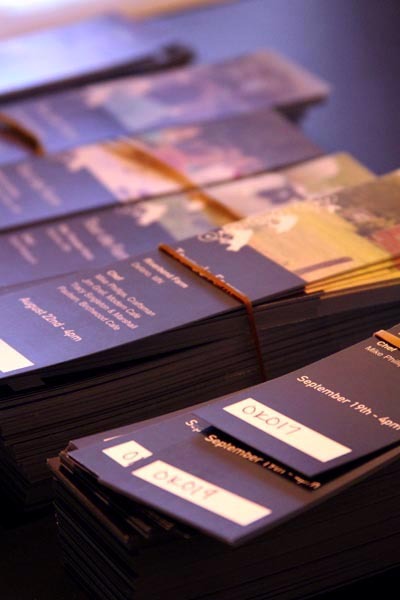 Learn a bit more about the history of the farm. This is something that you see at the farm and around farmers markets, this sign. Take a look here and see what goes into getting a making great Minnesota grown food. Looking at all the work that is going into this green house you would never know that the growing season for the farm is about a full one month behind. Compared to our amazing early season last year, this year is a very large wake up call for local foods. We do live in a climate where seasons truly affect what is grown. You thought last year was interesting, this year is going to be even more interesting. Here is the first picnic of the season. Have you heard of a “chick-nic?” Well, that is what we are going to have in the morning in July. These are some of the women that make our city a great food town. Come and meet them all in one big breakfast on the farm. Click here and get all the details. And now a word from Tour de Farm. More announcements to come. Click below and find out what the first dinner is. 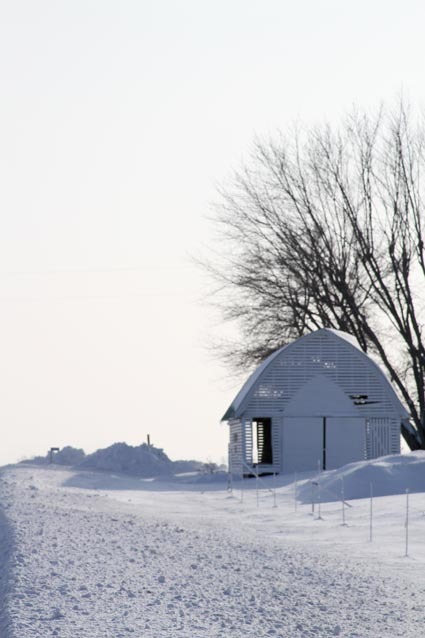 SO, by now, I hope you have heard that Tour de Farm is doing a New Years Eve dinner at a beautiful old barn in Glenco, MN. We are amazed by how lucky we are to be able to celebrate the New Year and the fabulous food being grown & raised in Minnesota. We are going to start the night off with some warm mulled wine and hot apple cider. This will be a great time to get to know some of your dinner friends and mingle a bit while learning more about the farm. 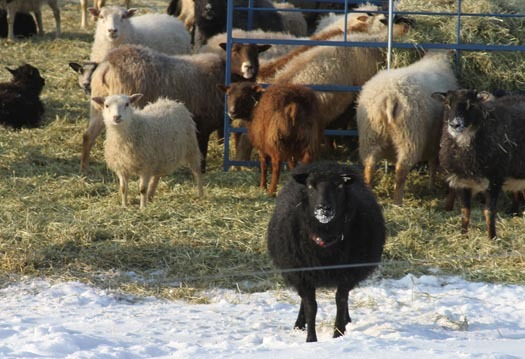 Star Thrower farm makes amazing cheese as well as some amazing Icelandic lamb meat. To learn more about the heard they have just check out the website. We are going to start the night off with some very warm heriloom pumpkin soup using pumkin from our friends at Tangletown Gardens. Next we will be having some great sausage that we are making this week at CT. We are using herbs that were harvested by Debra from Star Thrower that they grew on thier property this year as well as garlic. The next couple of courses, well, I don’t think I want to tell you everything right now, but there will be cheese, lamb, caramelized Brussels sprouts, lamb bacon, cream, and the dessert if going to have honey and ricotta of course some great cheeses from the hard work that Debra and Scott put in everyday. 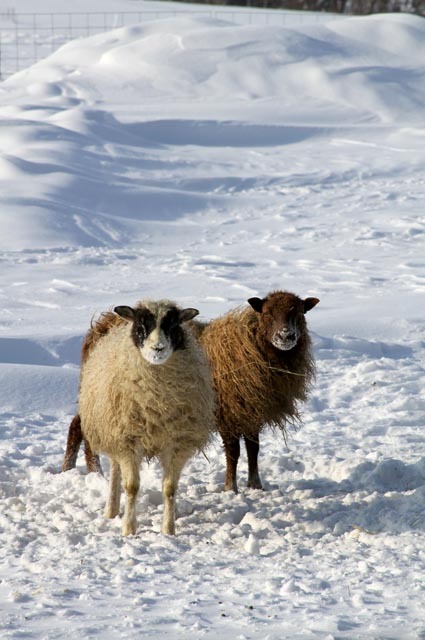 The locals think you should wear wool, a lot of it. If you can’t join us for the Tour de Farm Event, make a reservation for dinner at Corner Table. We are doing a three course dinner for $65 with wine pairings. Please call 612-823-0011 for reservations. We can’t wait to spend New Year’s Eve with you! 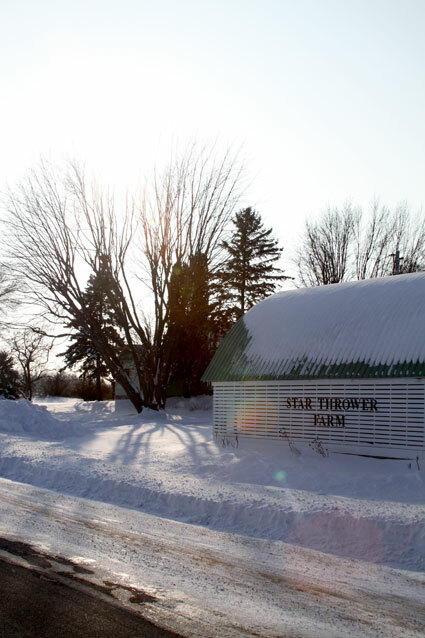 In a beautiful 100-year old (heated) barn at Star Thrower Farm in Glencoe, MN Scott Pampuch will prepare a 5-course dinner with wine pairings from Solo Vino for the final evening of 2010! What to Wear: Although the barn will have heaters, please dress warm. Layers and Minnesota winter wear – hats, scarves, and mittens – with warm boots are suggested over sequin dresses and stilettos. Blankets may be helpful for warmth as well! Still in need holiday gifts? We have a bunch of farmy items! book ($35) – come get it signed by Scott! Saturday April 3rd brought the kickoff of the Tour de Farm 2010 season. We started with an open house where folks could come in eat come food, get more info about the events and buy tickets. (Yes, we sold a lot of them! You might want to get yours soon!) We were lucky enough to be joined by Dave & Flo from Cedar Summit, Scott & Debra from Star Thrower and Greg & Mary from Riverbend joined us for some eats and chatting. Did you get your ticket, yet? The inspiration for Tour de farm was Outstanding in the Field. After working with them back in 2008 we came up with our local version of this and have been in contact with our friends Jim and Leah ever since. 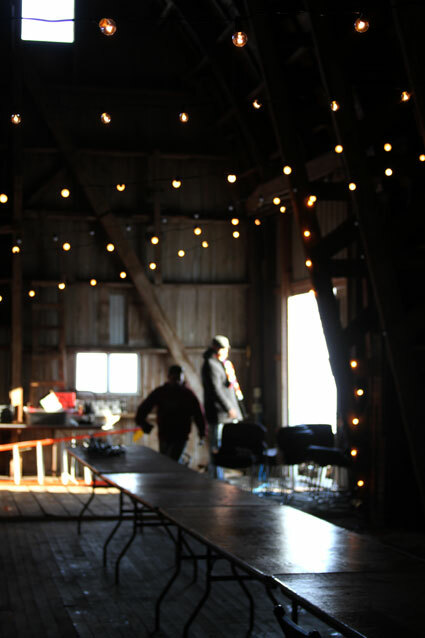 Today, March 27th, the tickets went on sale for the July 31st dinner at Star Thrower Farm with Chef Mike Philips. Better get tickets, they are going fast. Now the big news: Tour de farm dates and chef’s are set and the email is going out very shortly to announce all the information. So, you better get on the list. This is your last warning. Serious. Why should you be on the list? To get to buy tickets & get information first! Get on the Tour de Farm email list, now!